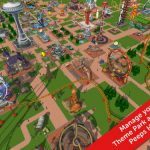 RollerCoaster Tycoon Touch, or RollerCoaster Tycoon 4 Touch as it’s called on the Google Play Store, is a new iOS and Android game from Atari that allows you to create your own theme park, customize it, and make sure it runs like a well-oiled machine. So what can you look forward to in this game, and what’s it all about? You can open card packs that come with new coasters, rides, decorations, and other items that could draw more people to your park, help keep your customers happy, and earn you more money. The game comes with a coaster builder and track editor among its many features, and there are also more than 100 flat rides, decorations, paths, shops, and other things you’d normally expect to see in an amusement park. 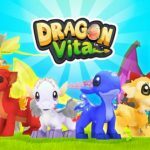 As this is a mobile title from one of the oldest and most respected names in the video game industry, this game is quite an intricate, well-designed one, and it has a lot of depth to it. We could take quite a while if we teach you all the fundamentals of the game, and include tips that may be more useful to advanced players. But we’re going to keep it short and simple and stick to the bare necessities, as we bring you a list of RollerCoaster Tycoon Touch tips and tricks for newbies. The first thing you might be interested in building is your roller coaster – it’s the heart of most every amusement park in the world, so why not work on it first? This game isn’t called RollerCoaster Tycoon Touch for nothing, right? That is indeed true, and you may have seen other players with intricate, well-designed roller coasters and want to catch up to them as fast as possible. But you shouldn’t jump to that just yet – you will actually want to take it nice and easy, and keep your design as simple as possible at first. As you’ll only have a limited amount of resources, meaning money and materials, you won’t have much choice on the matter anyway. But as you earn more money and gather more materials, you’ll be able to build on your existing coaster and make it better-looking and more elaborate. If you’ve got enough resources, then you can go nuts and let your creativity shine through, but for starters, there’s no need to rush things and try to reinvent the wheel with your creation. There is a card-collecting mechanic in this game, and these represent the many attractions you can add to your park. These include rides, parts for your roller coaster, restaurants, shops, decorations, and other amenities. So how can you get more cards in this game? Well, you’ll get them each time you level up in the game, but you also have the option to buy them at the in-game Card Shop and get more packs. You may also get more card packs if you complete the game’s missions – we recommend completing as many of them as possible for more chances to expand and improve your park. If you think of the world’s best and most iconic theme parks, or even your local amusement park, you’ll see that they’re designed with purpose in mind. The same applies to RollerCoaster Tycoon Touch. You need to place your rides in such a way that you don’t have two of the same kind of ride in the same place. As they’ll be extremely close to each other, they won’t earn too much for your park. Try to make sure there’s a reasonable gap between each ride; don’t pack things too closely together when it comes to setting up your rides. Likewise, you should be strategically placing the rest rooms – set them up in such a way that customers can access them easily, thus increasing their satisfaction. This shouldn’t be too hard if you’ve got a fair number of attractions in your park. There’s also some strategy involved when it comes to dealing with your staff. Like any good boss should, you need to find the right balance between letting your employees have fun and working them too hard. Being too lenient may cause them to get complacent, so if you see someone in your park slacking off, you may want to sanction them with some disciplinary measures. If there are lazy workers, that compromises the amount of money your park can earn in the game. But also keep in mind that your workers could also get lazy and unproductive if you’re too much on the strict side. One of the cool things about mobile games is how they encourage players to socialize, either by involving their own real-life friends in the game, or making online friends from all over the world and adding them as well. Connect your game to Facebook and add some friends, as that’s going to allow them to visit your park, and allow you to visit theirs. You can earn useful rewards if you get social and add friends to the game, so there’s really nothing to lose here – you can play this game solo, but it’s always more fun if you’ve got other people involved! And this wraps up our list of RollerCoaster Tycoon Touch tips, tricks and hints. 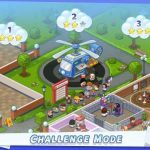 We hope you’ve enjoyed this guide and if you happen to know more tips or tricks for the game, feel free to drop us a line!